A special thanks to Khadija Raheem for making this interview possible. In today’s world where many youngsters are involved in non-productive usage of their precious time, there are still a few who stand up to realize the responsibility to make this earth a better place to live. Featuring tonight is one such lad, Shah Talha Sohail, Co-Founder, Green Volunteers Pakistan. Talha is an enthusiastic, determined, focused individual currently completing his bachelors in Mechanical Engineering from NUST, Karachi. His passion to be an active part of his community is well seen from his never-ending quest to accomplish something productive. Read to what we uncovered in this exclusive one on one session with Shah Talha Sohail. Well before we begin with many of the other details, we all certainly want to know about your fellow founder green volunteers. Please tell us about your lives? Ali Anis, Rameez Mumtaz and I laid the foundations of Green Volunteers almost 2 years back. Ali Anis is a LUMS graduate and is currently working at Rural Support Programmes Network. Rameez has done his ACCA. I am doing Mechanical Engineering from NUST-Karachi. We have a lot in common but what really drives us all is our love for Pakistan. We don’t believe in talking. We just DO. You, the founders of GV are a group of young, energetic boys and girls, usually boys and girls your age have different interests; how did you all end up in coming up such a noble cause? We think all causes that aim for the betterment of society are noble. Where people saw floods 2010 as a calamity we saw it as an opportunity; an opportunity to leave our comfort zone and do something that can benefit people other than us. The devastation was so massive that we knew the state and non-profit sector alone could not cope with the damages. We all had to play our role. After the flood campaigns we realized our responsibilities go beyond helping people in crisis and we could contribute in other areas of social service as well. Apparently you guys have a huge responsibility, how do you guys manage it? Is it difficult being students yourself? Not really! As students, we waste a lot of time. Why not make that wasted time count? We all can spare a few minutes each day. When you’re devoted to something, taking out time for it is no longer a concern. You make it a part of your routine and do things accordingly. 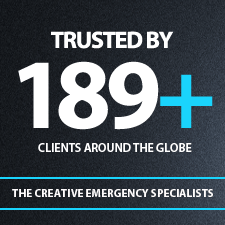 With our own personal experience we can assure you that it’s the most interesting thing we do in the entire day. We look forward to it. I believe we as a nation, our days of wasting time are gone. It’s time to act. What is the story behind the name ‘Green Volunteers’? We all started working as volunteers and we want to develop culture of volunteerism in our country. We had no desire for a certificate neither did we have any platform to raise funds for the floods. We started off working as volunteers for a cause that aimed to serve our countrymen. So the ‘Green’ is for the color of Pakistan and Volunteers is what we work as. First of all the theory, what were major obstacles you had to face when you first came up with this idea, any specifications? We started off as a group of motivated individuals but we lacked direction. We knew we wanted to do something for our country, but how and what was not very clear at the time of this organization’s inception. But we persevered. We learned through experience and figured our direction on our own. Our biggest obstacle was generating funds for our activities after the flood episode. Then keep the members and volunteers motivated during the organization’s building phase was also a concern. How did people react to this entire idea, especially with the uncertainties prevailing in country for the young boys and girls? Honestly, people of Pakistan have been very kind to us. They are encouraging and always looking forward to help us. There are some people who try their best to make you feel that you are working for a lost cause. They discourage you and demotivate you with their words and actions but honestly, their number is negligible. We have not found it hard to keep ourselves motivated. Our people have mostly encouraged us. And as far as the uncertainties are concerned, we feel only those people come and join us who look at the positives in our country and the people and do not pay heed to the negativity. Who has been your inspiration in this journey? My Father, he has been a true inspiration for me throughout this journey, without his encouragement and support I would not have been in a position where I am today. Helping the destitute is an achievement in itself, what was the happiest moment during this journey? We gave new school bags to girls in an orphanage for their upcoming academic year. Looking at those girls with their new bags and glowing faces was the most satisfying feeling I have ever experienced. What was your first major achievement in terms of charity? A university principal gave us amount of Rs. 0.25 million to help the flood victims even when we didn’t have a company account. That showed people trusted us and still are. What was lowest low when you could see your idea falling apart? Honestly, we have not faced it as of yet. We define our progress through survival and we have been there for the past 2 years. It is easy to pop up but it is very difficult to stay and fight it out. There have been times when we have been somewhat inactive and there have been lull moments. These are the times when you start questioning where we are heading to. But we have always managed to make our way through those times. Well there is this event that I can never forget. 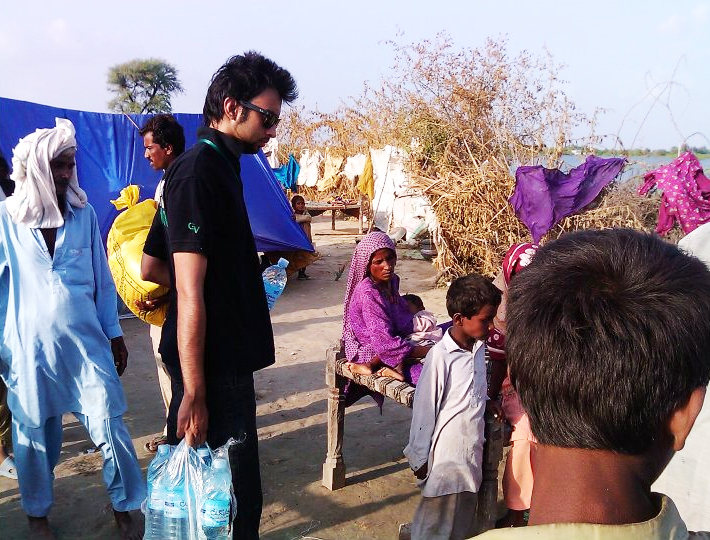 While working for Flood campaign 2011 I, Ali Anis and my friend Ali Khan (another GV executive) along with individuals from other organizations went to Jhuddho, a Tehsil of District Mirpurkhas in interior Sindh, to distribute food packages to flood victims. We had to steer our car through running water to get to this place and upon reaching there our truck carrying relief items got stuck in mud and almost toppled over in water 3 feet deep that was standing on either side of the road. It was an enormous challenge pulling the truck back up without losing any relief items. Furthermore, by the time we got the truck back on the road it was nightfall. We had to distribute the items at night with no artificial lights around. We eventually used headlights of a couple of cars to distribute the relief items. Another quite famous seasoned NGO in the area told us that they themselves had never accomplished anything like this. Everyone. Now we have MashaaAllah such a huge team working with us for the same cause. Taking names of any individual would do injustice to others. The whole executive team has equal part with the success of GVP. But if I have to pinpoint someone in particular, it is our parents who have been very understanding and always encouraged us with our activities. When did you people decide to take GVs to a whole official level? September, 2010. . After the flood campaigns we realized our responsibilities go beyond helping people in crisis and after developing a network of volunteers we wanted to carry this forward. Collecting money by selling bands and tees? Was it not a difficult option? Initially during our initial flood campaigns it was relatively easy to collect donations as people were aware of the natural disaster and were willing to contribute in every way possible. But after that we realized we had to come up with other means of fund raising, so we launched our wristbands followed by our T-shirts, pens and recently launched hoodies. To date we have sold over 7000 wristbands, approximately 500 T-shirts and more than 2000 pens. Where do you see your organization in 5 years? I am not sure where I would be in 5 years, but I am confident that GVP would be a better position. GVP is not an organization, it is a thought, a new culture; a culture that will soon establish its roots in the soil of this country. As time is passing by, your volunteers are increasing in huge numbers how does it feel to see your idea grow? The feeling is good. But it is just the start. We do not have huge expectations but we are inspired. We’ll take things as they come. What you people run is a charitable organization, what is the major difference between charitable organization and non-profit organization? Being a charitable organization is one of our objectives, but we don’t want to restrict ourselves to a certain genre. We want to serve Pakistan in every way possible on a youth based non-profit platform. We are currently working on a student scholarship program where we will select students from rural areas who don’t have the necessary financial resources but are highly capable as their board results reflect. We’ll finance and assist them in every way possible with their future education. We are planning of expanding our activities countrywide. We have conducted one in Karachi, and now we plan to travel to Lahore and other cities of the country. We are planning Anti-littering drives, Tree Plantation drives, Anti Wall-Chalking drives and Schools Critical thinking camps and Earth hour. Enlighten us about some of your achievements? GVP, since its inception in its 04 flood relief campaigns (two in 2010 and two in 2011), has provided a total of 1,257 families two-week food item packages worth a total of $ 40,000 in four of the worst affected districts of the country, namely Charsadda, Nowshera, Badin and Mirpurkhas. Nearly 6,000 fans on Facebook, does this support boost your morale? Our page isn’t like some others around that people ‘like’ for entertainment. Every like on our page is a volunteer who really believe in this work. And support us in our cause. So these 6,000 likes are people who are ready for to work for Pakistan whenever we need them. Seeing yourselves covered by newspapers and people acknowledging GVs with open arms, how does it feel? It’s always good to be appreciated for something that you have worked so hard to achieve. It makes things easier when you know you have got a great band of people encouraging you. But I don’t allow myself to think too much about it because the basic aim is to help shape a better Pakistan and while it’s good that people like our initiatives and media covers our project, my aim is not to enter a popularity contest but to inspire people through my work. Have bigger organizations approached you for merging or working in collaboration with them? Throughout our work Pakistan Navy has been a constant support in helping us achieve our goal. These days we’re also conducting Deutsche Bank’s annual CSR activities. Other organizations like Saba Trust have also worked with us. What piece of advice would you like to give to youngsters who want to stand up and do something like you? We all are talented, we need to realize our talent and excel in it. After realizing your full potential, devote it to Pakistan. We have no time to waste. We all can spare 10-15 minutes. I just want those minutes for PAKISTAN. Your message to the youth, an invitation for them to become a GV?